We're looking for the best players in Michigan! See you soon! Take Your Skills to the Total Level! One of the original travel team in the Midwest. College coaches. College players. High level reps. Learn from D-1 coaches and players! Great lacrosse community that focuses on players. Players join an impressive network of players and coaches. Team Total 2019 Takes Home the Hardware! Saginaw, MI - Playing in their first local tournament of the summer, Team Total 2019 went 5-0 on the weekend and brought home the hardware in the tournaments highest high school division. Several players had outstanding weekends. Ryan Birney had an impressive weekend scoring several "bar down" goals. Quinn Uphoff played every minute of the tournament for Team Total and made crucial saves to maintain Total's momentum. And Hunter Sutton was "the man" at the face off X, winning at least 85% on the weekend. "Winning is fun but our goal is to get better," said Coach Dwayne Hicks. "Now, we need to get ready for the recruiting process which is why top players play in the summer." Team Total will now prepare for the Best of the Midwest Showcase and the Notre Dame Elite Camp. Both events will feature high level talent from around the country. How does it feel to play on the best lacrosse team on the planet? Mike Birney would know. In his rookie season, he played in 12 games for the Ohio Machine, scoring three goals and making two assists. His efforts at the beginning of the season helped get the Machine into the playoffs which lead to their championship run. Unfortunately, due to an injury to his hand, Mike was sidelined for the playoffs but looks forward to another opportunity in 2018. Not a bad rookie season for the former Detroit Mercy standout who played his summer ball for Team Total Michigan. Congrats to Mike and everyone else on the Ohio Machine team for a great season. Congrats to all the 2017 Team Total players. Go under the "Commitment" tab at the top of the page to see where our 2017 players will be going in the fall. Good luck in all your future endeavors and remember... Total forever! Keep in touch. The all Team Total alumni game is set for Monday, July 31, from 8:30-9:45. Hopefully we can get representation from all 12 years and see the progression of uniforms. Wear 'em proud gentlemen! July 14-16 in Ann Arbor, Michigan, on the campus of the University of Michigan. Congrats to all the teams. Tournament film will be available through a link that Coach Hicks will provide to everyone who paid at the tournament. If you would like the film and have not paid for access, please contact Coach Hicks. Team Total Goes to ND! South Bend, IN- Team Total travelled to the University of Notre Dame for its annual Elite Team Showcase. Three teams would compete for titles in the varsity and JV divisions. In addition to having an opportunity to win a showcase event, players are afforded a chance to experience college dorms, walking on campus, college food and playing under the scrutiny of college coaches. Recruiting is important part of the ND experience. This year we had several players make the all star team but no team was able to reach the championship game. Congrats to: Silvio Scappaticci, Nick Polydoras, Carson Miller, Kyle Love, Charlie Shaver and Chase Sparling for being selected All-Stars. Rockford, Michigan- Absolutely awesome weekend for lacrosse. Blue skies, a light breeze, and five great fields welcomed players from around the Michigan area for one day of good competitive lacrosse. Saturday featured the U13 team who played three good games and proved lacrosse is not about size, it's about skills. But size helps. Congrats on a great season. 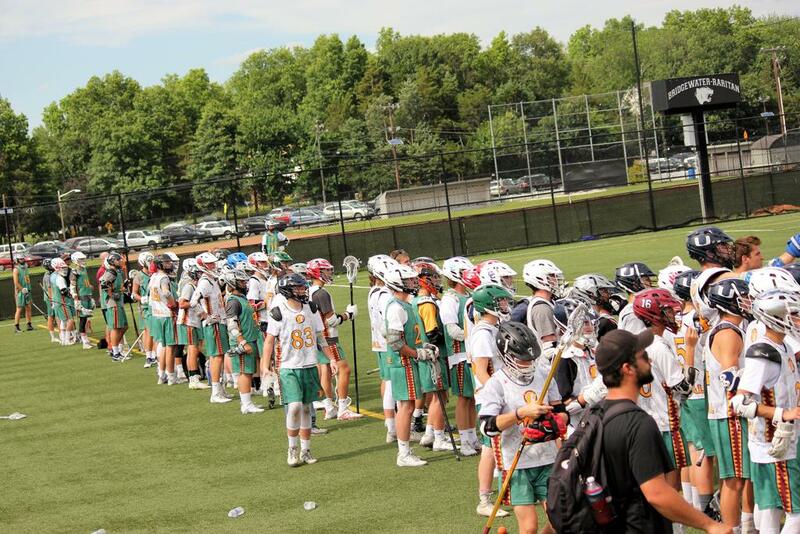 Sunday featured U15, 2020, 2019, 2018 teams. All of our teams showed a great grasp of the game playing fast and hard to win most of their games. Congrats to the the 2018 team for winning another tournament and ending the summer with another undefeated run. Bridgewater, New Jersey- It was an exciting weekend for the four teams of the Team Total Michigan community. 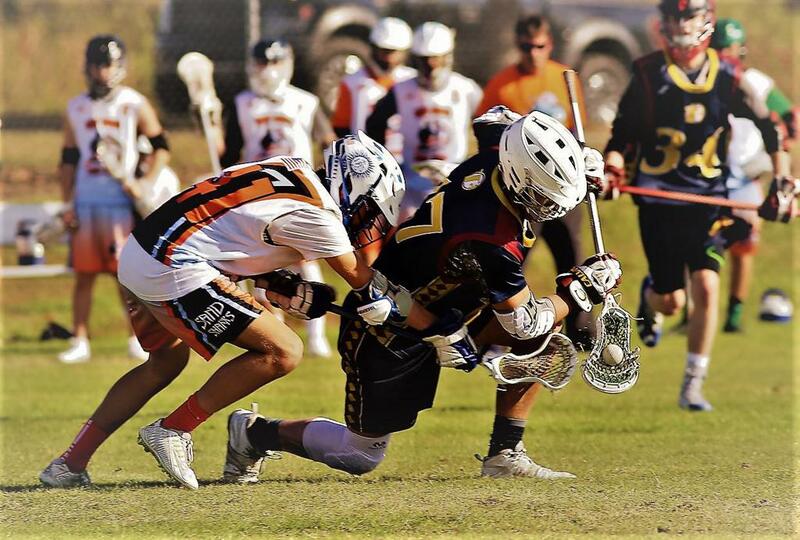 Despite coming off a grueling week of Boot Camp and team leagues, all four teams were ready to play and show the east coast teams just how good the boys from the mitten state could play. Every team played at least three games on Saturday with the 2018 team having to play four. The fourth game, the most exciting of the weekend, matched up the two undefeated teams in the A Division, Team Total 2018 and Team Total 2019. With everyone watching, both teams brought out the best in each other in a fast-paced, very physical game with goals being scored at both ends of the field. After 50 minutes of play, it was the old-school (2018) who took the lead by a score of 5-3. Hats off to Nick Polydoras and Silvio Scappaticci for leading their team to the victory. Ryan Birney, Kyle Love and Hunter Sutton had a outstanding showing for the 2019 crew. 2020 would have their success on the field as well. After a tough start, the team found their groove and started putting in some goals. Winning face offs, great goaltending, and solid shooting helped get the team to the semifinals. There, they lost to the tournament champions in a hard fought game. The U-15 team played a lot of close games. Not having a true fogo was the difference in many of their games. Rarely did they win a possession on the faceoff without a battle and the result was fatigue and unforced errors. But our team was grinding it out and showed a lot of heart to win the games they did. Congrats! Lebanon Valley College, PA- Amazing! 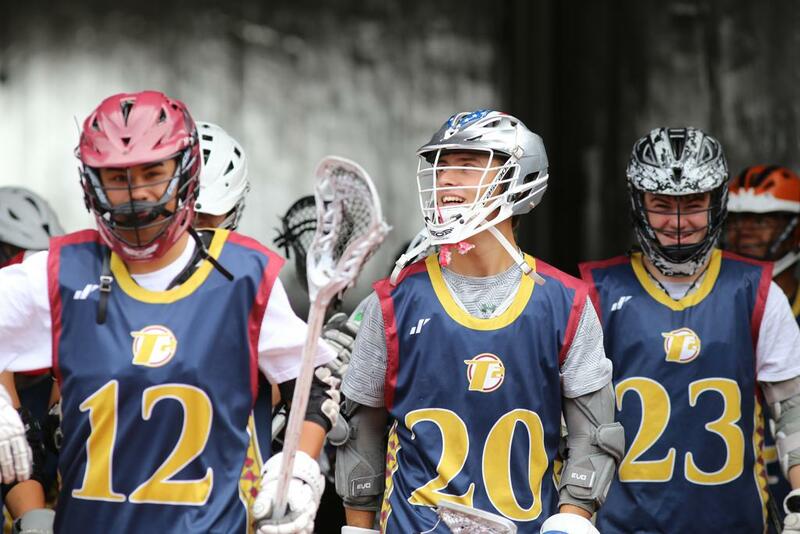 The IMLCA invites some of the best club teams in the country to play for three days. Over 70 coaches were there on the sidelines. And the lacrosse was outstanding. Fast-paced, high-intensity and everyone had there game faces on. Each of the teams we faced boasted at least five D-1 commits: Harvest, Zingo's, Roughriders, and Team Connecticut were high level opponents and Team Total only managed one win but competed in every game. Our first day of the 2017 season was a good day. Day 2 was disappointing because we could have won our first game to advance in the playoffs but unforced errors were our constant companion. At this level, mistakes will cost you the game. Great weekend for the team and the players. Lots of learning and everyone getting up to speed. Congrats to our All-Stars: Connor Flanigan, Nick Polydoras and Silvio Scappaticci. LVC, Annville, PA- It was a field of dreams as many of the top 2019 players in the country displayed their talents in front of the coaches from Hopkins, UVA, Denver, Penn State, Ohio State and many more. All watching to see who would stand out in games where the best were playing against the best. The pace was fast. The goals were earned and everyone was playing at their best. Our pool play games were tough. Of the three teams we faced on day one, two would eventually make it to the championship game. They were all great games and Total played hard and got the looks. But the goals were hard to get and comebacks are rare when the pace is so fast. Day 2 was a different story. Knowing the level and the expectations, players came out and played with a renewed sense of purpose and determination. The result was three wins against some of the best clubs in the nation. Good job Total. 2019 All-Stars included: Nick Harvath, Carson Miller, Patrick Lee. Changing habits and working on fundamentals. That's what Boot Camp is all about. This year, we were glad to have Chris Cooper, a former Team Total coach and the current Offensive Coordinator for the Binghamton Bearcats, as one of our instructors. We also had Dom Marzano, the Capital University Head Coach and Ohio Machine Assistant Coach, and Nick DiRado, former Team Total player and now the Defensive Coordinator at Albion College. These coaches, along with many other coaches and former Team Total college players, were on hand to help current players work on their skills and take the next step in evolving their game. The difference between day 1 and day 3 is amazing. Going through a Division 1 practice with drills helped all of our players get better fast. By day 3, everyone is working at full speed and using some of the new skills they'd learned from the coaches they were working with. Lots of fun was had by all. Congrats on surviving Cooper! Team Total Travel Lacrosse is based in Wixom, Michigan. Teams will compete in the following age categories based on a player's high school graduation year: 2018, 2019, 2020, 2021, 2022 and Girls High School Varsity. The program is organized and headed up by Dwayne Hicks, one of the most experienced coaches in the state of Michigan. Hicks is a former collegiate coach who has been named Coach of the Year six times and National Coach of the Year twice (once as head coach and once as an assistant coach). We play to be the best we can be. Congratulations to all the teams for an outstanding weekend. 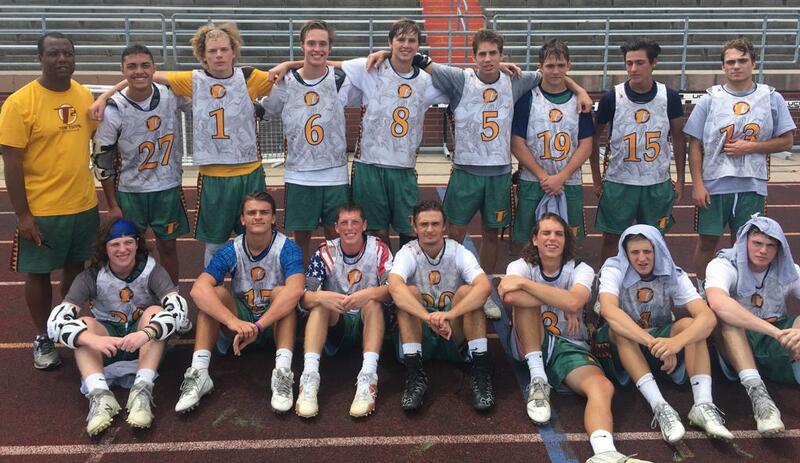 Team Total is an elite summer travel team for boys who aspire to play at the collegiate level. Our goal is to not only teach players how to play lacrosse at a higher level but to help guide players in the right direction. Where is Team Total playing this summer? The schedule will be set in late March/April. There are many showcase events to choose from. Going to the ones that will have the greatest impact is our goal. Generally, we tend to play on the east coast for the greatest amount of exposure, go to one camp, and one Midwest event. But every year, the schedule changes depending on which tournaments fit into the weekends we have available. Last year’s schedule and results are available on our website. Why should a player consider Team Total? Players and parents come to Total for the coaching and the experience. Head coach, Dwayne Hicks, has coached for over 25 years. A former Notre Dame player, he has been recognized at the collegiate level as Coach of the Year on the national and regional level. ALL of the coaches at Total have played at the collegiate level and know what is required to get there. Some have played lacrosse professionally. Players come to Total to get the additional coaching that will help them reach their potential. Over the past six years, many of the best players in Michigan have participated in the Total program or played with Team Total. Coaching and experience can make a big difference in helping a player reach their potential. The cost will be determined by the cost of the expenditures for the summer divided by the number of players on the team. Until the events are selected, a cost will not be able to be determined. Team Total is an all-inclusive program. Unlike other programs that require players to pick up the cost of travel and hotels, those expenses are included. In addition, the cost of uniforms, coaching, league fees, referees, fields, and many other miscellaneous expenses are included in the one-time fee. My son/daughter has already tried out for another team. Should they try out for Team Total? There are a lot of travel teams in Michigan. Parents have a lot of options. Players should try-out for as many teams as possible and see which one they feel will give them the best opportunity to learn. Team Total has always tried to get a great mix of the best players from a variety of schools. Those players are then put together and taught the movements and skills of upper level lacrosse. Our family is new to travel lacrosse. How do I know which program is best for my son/daughter? PLEASE, do your homework and ask other PARENTS who have travel team experience. 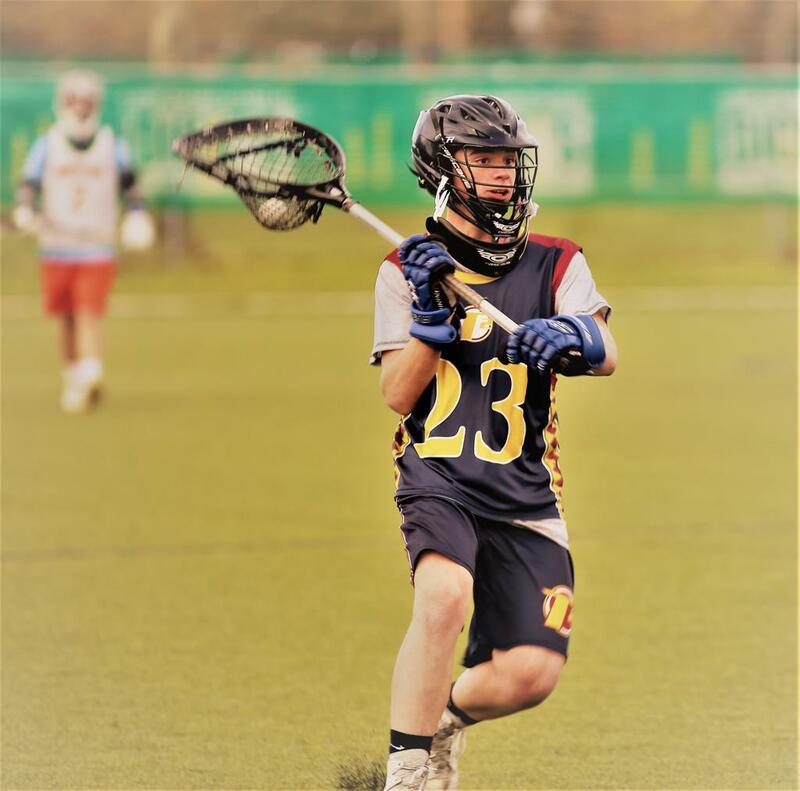 Lacrosse is a relatively small community so it is just a matter of asking other parents and making a few phone calls to get important information so that you can make a more informed decision. Playing travel lacrosse is not inexpensive so please do your due diligence. Know who is coaching your son/daughter and how much coaching and playing experience they have. Now is the time to get the best coaching you can find for your child. This is a lot of money for us. Can you guarantee me that my son/daughter will be recruited? Playing travel is a lot of money but no one can guarantee you that your son/daughter will be recruited. Our goal is to give players the tools and the structure to be successful. It is then our hope that their performance on the field, along with their success off the field (grades), will make them a great candidate for coaches looking for talent to play at their colleges and universities. Has Team Total been successful at getting players recruited? Yes and no. 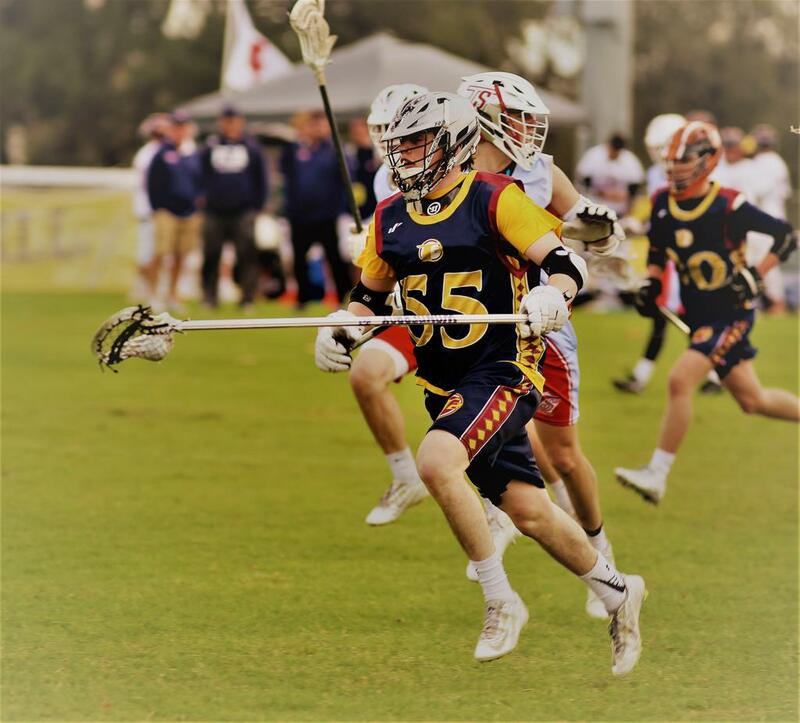 Many of our players have gone on to play at the highest levels of lacrosse (see the Mike Birney story in Lacrosse magazine, Nick Diegel at Ohio State, Nick DiRado at Onondaga, two national championships, on and on… also, see the list of commitments). And while many of our players are recruited and want the weight and responsibility of playing lacrosse at the highest level, others decide to make lacrosse a lesser priority and focus on academics because that is where the scholarship money really is, not athletics. 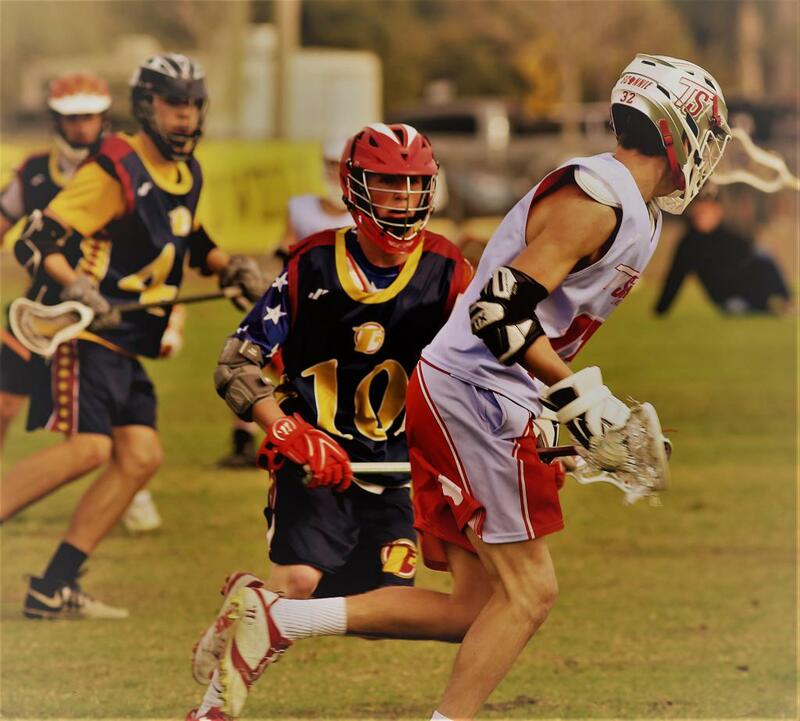 For those players, lacrosse is something they want to enjoy as an extracurricular activity. For our coaches, one of the things Team Total tries to do is guide the players and their families to seek the school that will fit the player and their life-long goals. It is NOT our goal to get them into a school where they will play lacrosse. Our goal is to help them find a school where they will be happy, with or without lacrosse. I will miss an event because of another commitment? Will that make a difference in my playing time? No, many of our players miss events because they are attending other showcase events/camps or have family obligations. That’s understandable and the coaches encourage players to do it. But…this is a very serious team and our expectations are very high. Players should know that they are expected to be at every practice and event unless they have an obligation that they cannot change or miss. Playing golf or going to a concert does not qualify as a reason to miss a tournament or practice. What should I expect at Elite/Varsity try-outs? Expect to be on the same field with some of the best players in the metro Detroit area. Expect to be asked to go full speed. Expect to prove to the coaches that you belong on a team with a national reputation for being one of the best travel teams in the country. Expect to go 100% in every drill and in every situation. Expect to do your best, nothing less. Can anyone try-out? What do I need to do prior to the try-out? This is an open try-out which means anyone can put themselves to the test. The Elite and Varsity teams will usually have players with at least one year of varsity experience. But there are exceptions to every rule. Players should expect to be tested (see What should I expect?). Come prepared. Play as much as you can prior to the try-out. Coaches will be looking for players who not only have excellent basic skills but a high lacrosse IQ. We are looking for players who aren’t just running the field, but running the field with purpose. Also, make the most of your time on the field. Get the ball and do something with it. That doesn’t mean drive to the goal or shoot the ball every time you touch it. That’s NOT what the coaches want to see in a player. Instead, coaches are looking for players who know what they are going to do with the ball before it ever touches their stick. Even when the ball isn’t in your stick (which is 95% of the game), good players should be doing something to create a play on the field. Those are the players the coaches are looking for.